Gilyarov Oleksiy Mykytovych is famous Ukrainian teacher, philosopher, writer, the first academician-philosopher of the all-Ukrainian Academy of Sciences. He was born in 1855 in Moscow. His father, became the Slavophile, publicist, theologian Mykyta Petrovich Plyarou-Platonov. O. Gilyarov studied at Moscow University. Then he continued to gain knowledge in the French capital ‒ Paris, a well-known psychologist and psychiatrist G. Sharko. Then, from 1883 to 1887 he worked as a privat-docent at Moscow high school, lectured on Aristotle and Plato, lectures on aesthetics. In addition, he taught Russian and ancient languages, logic, pedagogy, philosophy, history of philosophy in the Moscow high schools. In addition to university-the lectures of psychology of women. In general, Gilyarov’s scientific interests were extremely wide. He often was in business trips abroad for work. The author was interested in philosophy, history of its origin, which provide a separate essential, and separated it from other philosophical disciplines. Also, had a place in his scientific activity psychology, mathematics, chemistry and literature. He have been inclined to write poetry. O. Gilyarov was fond of the ancient philosophy, which has left an imprint in his career. Gilyarov known works, such as “Platonism as a Foundation of the modern worldview in relation to the issue of the problem and the fate of philosophy”, “the Value of philosophy” carry a negative attitude to philosophy as a science. Oleksiy Mykytovych sees the attempt to reconcile two eternally warring truths of our lives-the truth of mind and truth of heart. A major figure of its philosophical visions Gilyarov did Plato. After all, in his opinion, the latter is the most brilliant representative of this view to life. The work “the Greek sophists” is historical. It clearly shows the fascination with Plato as a genius of philosophy, that reached the Zenith of his craft. But Gilyarov distinguishes Aristotle as the best expert in philosophical doctrines than Plato. Also, Oleksiy Mykytovych well known as an outstanding Ukrainian teacher. He founded the brilliant school psychologists and philosophers at the University of Kiev. His disciples and students were prominent figures of Ukrainian culture and science: G. Shpet, M. Holodnyj, H. Yacubanis, V. Asmus, V. Zenkovsky, P. Blonsky. Lectures Gilyarov listened and take noted I. Ohienko. In particular, V. Asmus singled out connoisseur’s philosophy as a person with high intellectual taste, the finest examples of Ukrainian words, a supporter of Ukrainian culture and enjoyed the respect of many of his fans. O. M. Gilyarov was a supporter panpsychism of G. Fechner. He interpreted this trend as a system of thought that has the character sequence, the absolute connection of all life with spiritual unity. Gilyarov considered the Universe as a living organism, where consciousness is eternal. It should not have any other source but myself. Without matter thinking is impossible. Has a right to exist is only what is consciousness and awareness. The rest does not exist. Thus, O. Gilyarov concluded that the identity of consciousness and existence, that the world is a symbol of spiritual essence. To know the nature, we only through its own consciousness can understand, to come to the realization that the basis of this consciousness is the universe. 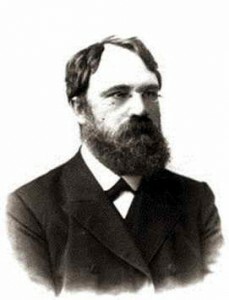 Accordingly, Oleksiy Mykytovych attempted to systematically explore it. Working in the field of philosophical idealism, O. Gilyarov was isolated elements of religious skepticism and free thought in explaining historical and philosophical science. In soviet times, tried to take the views of marxism, writing a work that illuminated his vision, but for some reason the work was left unfinished. In many scientific improvements Gilyarov felt cultural way of understanding the history of philosophy, examines the historical and philosophical science through the prism of the unity of personal, logical and cultural-historical development of concepts of philosophy. Studios that share the name Gilyarov, in the field of theory and methodology of history of philosophy, historical and philosophical source, antidesgaste made a significant contribution to the development of historical-philosophical science. Gilyarov’s “school” definition of philosophy as science, as noted philological accurate, stands out with respect to the individual as a creative and cultural vision research care and exceptional erudition, which is fully expressed in his disciples. Philosopher O. Gilyarov died December 7, 1938 year. Academician died in Kiev. He was buried at Baikove cemetery. The grave for unknown reasons, destroyed. Despite some discrepancies Gilyarov active work with the existing government in the soviet period, this prominent figure made a significant contribution to the development and formation of philosophical science in Ukraine. This entry was posted in Ethical and tagged Ethics, philosophy, Ukrainian on 16/02/2017 by Mary.